Prescribed burning is a requirement of some USDA/Farm Service Agency Conservation Reserve Program (CRP) contracts. 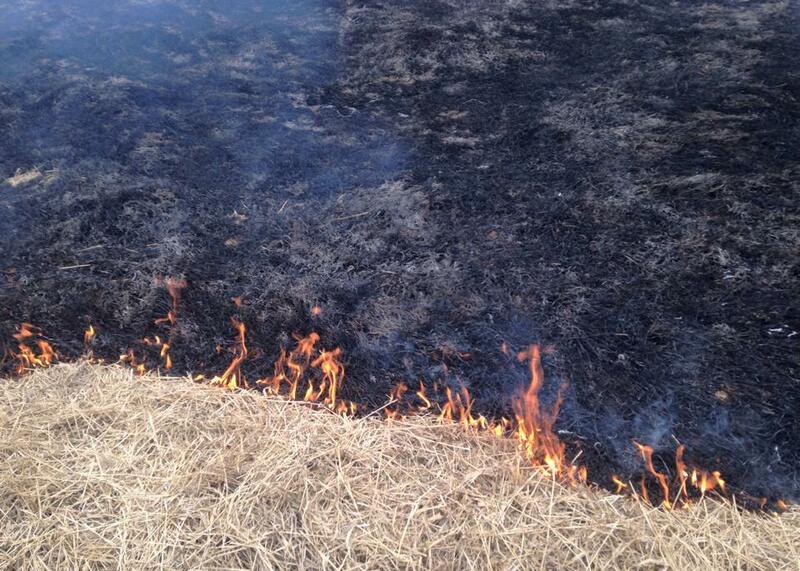 Burning is an economical way to reduce lower thatch in a field and encourage growth of desired grasses. It took four of us about four hours to complete a prescribed burn at the farm where I began work yesterday. Another day in the life of rural Iowa. This entry was posted in Farming and tagged farming, sustainability. Bookmark the permalink.